People who build a new house from the foundations can spend too much time with the contractor discussing the color of the kitchen tiles, but how many people do you know in Peoria that would show some interest on home security measures right from the start? Unfortunately, when we design or build anything today, from a simple room to a whole building, our prime concern should be its security in order to be ready to confront the odds. If you think that you cannot afford it now, think again because there are many things, which are not necessary to be completed now since your basic need is to ensure your home security. You can install simple door locks to all the rooms of the house, but when it comes to the front door, you should install security door locks, which will offer you more security. Of course, there are many lock options in the market and you could go beyond deadbolt installation and jump right into the future with electronic locks that can be opened with a keypad, which would allow access only to those who know the code. 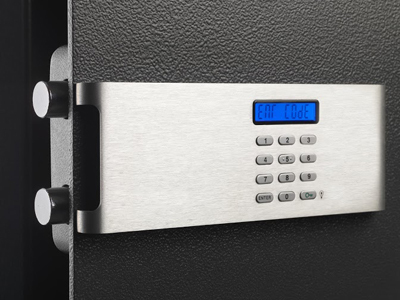 There are plenty of electronic lock options today that will allow you to have control, especially if you have a big house. If you have a garden and a fence, you must make sure there is a lock on the driveway gate as well except if it works with electronic keypads. This is not important for keeping the unwanted people out, but also for the protection of little kids, who can run away from your supervision and out in the street. Did you think of all places that need higher security? When you proceed with lock installation don’t think only about your front door and the windows, but think also about the room you keep valuables, your office or cabinets, which hide medicine, chemicals or detergents that must be kept away from the kids. The cabinet locks can protect efficiently valuable stuff, but if you want more complicated mechanisms for your jewelry, for example, you should proceed with safe installation. because you will never do them. Today, your house is full of workers and it is a chance to complete home improvements that could make your home more secure against any threat. It would be a good idea to install an alarm system covering the perimeter of your house and sensors at all entrance points. You can also plan the installation of a CCTV system that would give you full report all day and night long in your monitor. Lately, the high crime rates forced some homeowners in Illinois to create panic rooms, which can be considered as the last line of defense in case someone manages to go through all your security measures. If you can afford it, it’s an excellent idea since it will also allow you direct phone line with the police.